Welcome to West Wight Alpacas! 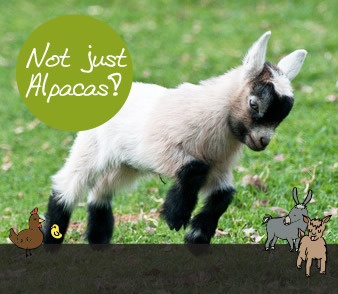 West Wight Alpacas is a trekking and alpaca and llama stud farm set within 23-acres of picturesque countryside in the village of Wellow on the Isle of Wight and is home to a wonderful herd of unique Suri alpacas and wooly & Suri llamas. We've opened our doors so you can come trekking with these adorable animals and get to know your cushing from your pronking or you can just as easily drop into our farm café and shop, while you watch the alpacas roam around. 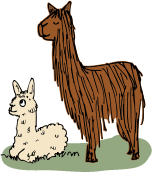 We're also award-winning Suri alpaca breeders with countless awards and championships under our belt, so we know a thing or two about these rare animals. That's why we always have some for sale, so others can reap the benefits. 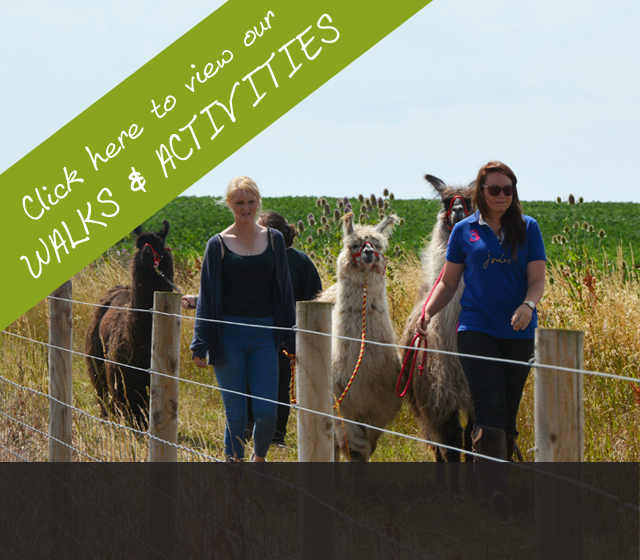 Enjoy a leisurely stroll around our farm taking in the views and looking at our adorable alpacas. Please note that entry to The Llama Tree bistro is FREE. We are open 10am to 5pm all year around, except Christmas Day, Boxing Day and New Years Day. (except Jan & Feb when we shut at 4pm) The Llama Tree Pizzeria is open some evenings generally Friday and Saturday except Jan & Feb but please phone to make a reservation and confirm times. 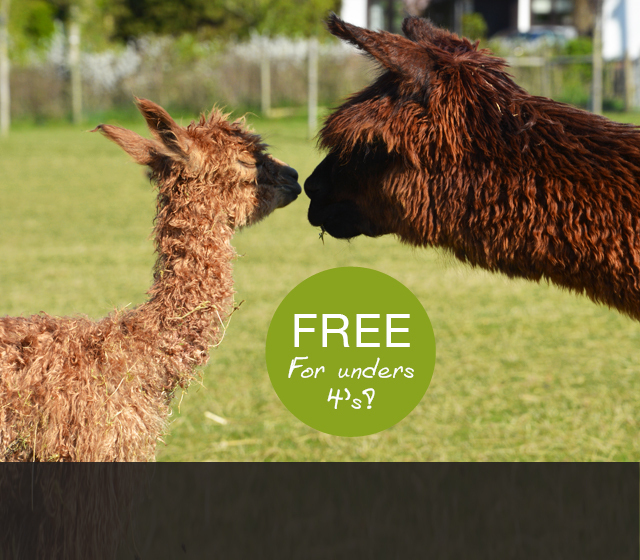 FREE farm entry with any purchased Walking Activity or Llama Agility!